As a native of Maine, Scott Hamann’s account of the Gaza aid flotilla debacle immediately caught my eye when scanning the news. 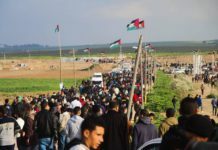 Hamman, a South Portland video producer, describes his experience in harrowing terms, leaving his audience of readers in little doubt that Israeli soldiers are no better than the Hamas terrorists who fire rockets at Israel’s civilian communities. Indeed if the Gaza aid flotilla succeeded in anything, it was in painting precisely this portrait of Israel’s army to the world. Soldiers become terrorists, and terrorists standing alongside humanitarians like Scott Hamman, magically transform into peace activists. Scott Hamann’s heart is in the right place. To want to help the people of Gaza and stand in solidarity with them is commendable. 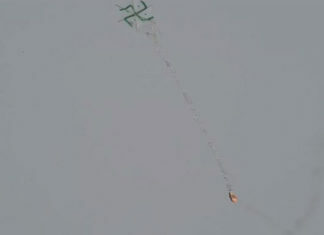 But the organization sponsoring the flotilla fleet and those on board who instigated the bloody encounter with the IDF commandos, had very different intentions in mind. The Foundation for Human Rights and Humanitarian Relief (IHH), which sponsored the flotilla, is linked to Al Qaeda, according to the top anti-terrorist official of France and Magistrate Jean Louis Brugiere. The IHH, which has offices in both Gaza and the West Bank, is also member of Saudi-based, Union of Good, a coalition of Islamic foundations, led by Muslim Brotherhood leader Yousef Al Qaradawi, who has issued fatwas calling for the killing of Americans and Jews. Israel outlawed the IHH because of its affiliation with the Union of Good and because it is an important factor in Hamas’ global fundraising. Steve Emerson, a leading terrorism expert from the US, pointed out in a Fox News article (June 1) that the IHH played “an important role” in the Millennium bomb plot, prior to the arrest of Ahmed Ressam, who had planned to bomb the Los Angeles International Airport. US State Department spokesman, PJ Crowley recently said that the fact the IHH representatives have met with Hamas officials was troubling to the US. The US, however, has not designated the IHH a terrorist organization as it has with Hamas. Hamas, an offshoot of the Egyptian Muslim Brotherhood, calls for the destruction of Israel in its charter and actively carries out its fundamentalist ideology. Living on the Gaza border for almost two years, I experienced a reality that Hamann and other Western peace activists on the Gaza aid flotilla haven’t had to deal with on their own home turf. My first rocket attack will forever be seared in my memory. I was sitting in my office with the third coffee of the day, when all of the sudden a rocket siren sounded. I rushed to the bomb shelter with the other staff, knocking over the coffee as I scrambled to reach the shelter within 15 seconds of the expected rocket strike. I counted the seconds silently, and suddenly the whoosh of the Qasssam rocket shrieked overhead, striking the home behind our office. We ran outside to see what had happened. Before us stood a partially destroyed home, a shocked mother, and a crying child. A Qassam rocket was lying inside their bathtub, with debris and shrapnel scattered everywhere. That was my second day at work in Sderot. But it was a day no different from any day following that summer incident in August 2007. I will never be able to forget the frightened faces of those mothers, fathers, children and elderly–nor the blood, the shock, and destruction coloring almost every scene of those dreaded rocket attacks. 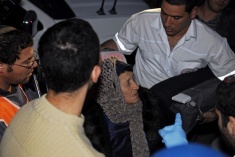 Sderot trauma victims being escorted away after Qassam attack. 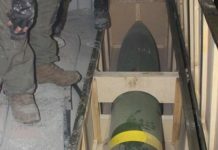 The Israeli naval blockade, carried co-jointly with Egypt, and Operation Cast Lead of last year, was implemented to stop these rocket attacks and the growing military strength of Hamas thanks to Iran’s financial and military support. Hamas is responsible for almost 40% of suicide bombings on Israeli civilians and 10,000 rocket attacks on Israel’s communities and cities. 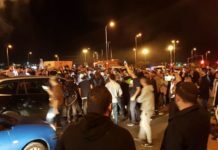 Under the Hamas regime, rockets are now able to threaten one million Israelis in some of Israel’s biggest cities like Ashdod and Be’er Sheva. The naval blockade is used as a means to deter the enemy from acquiring weapons to attack and blockades have been employed by many other countries facing military threats in the past. The US naval blockade of Cuba in 1962 successfully prevented Russia from transferring missiles into Cuba, and was implemented even though Cuba had never attacked US soil. 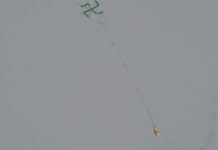 It seems that Sderot has been forgotten, while Israel’s security is something to be scoffed at. 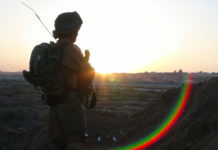 Israeli soldiers are demonized into Jack the Ripper, while Hamas and the I.H.H. have been embraced by much of the world as humanitarian organizations. The lines have been blurred, and the definitions and terms skewed to fit a certain narrative even if it means compromising the truth. 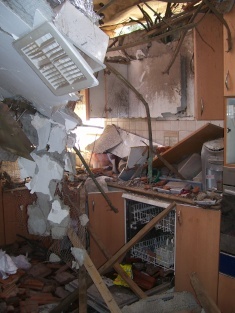 Qassam attack on Sderot home in December 2008. Israel is the only democratic state amongst the 22 Muslim countries in the region, where Arab members of the Israeli Knesset are allowed to freely criticize and berate the Jewish state. But if you believe the narrative set forth by Hamas, Iran, and Turkey, as related by people Scott Hamann, Israel is a totalitarian regime, committing acts of terror. The unquestioning news reporters simply accept this narrative as fact. Visiting Sderot today, and passing the thousands of newly built bomb shelters, I realized that the next round of rockets attacks will happen much sooner if the Gaza port and water routes are re-opened. 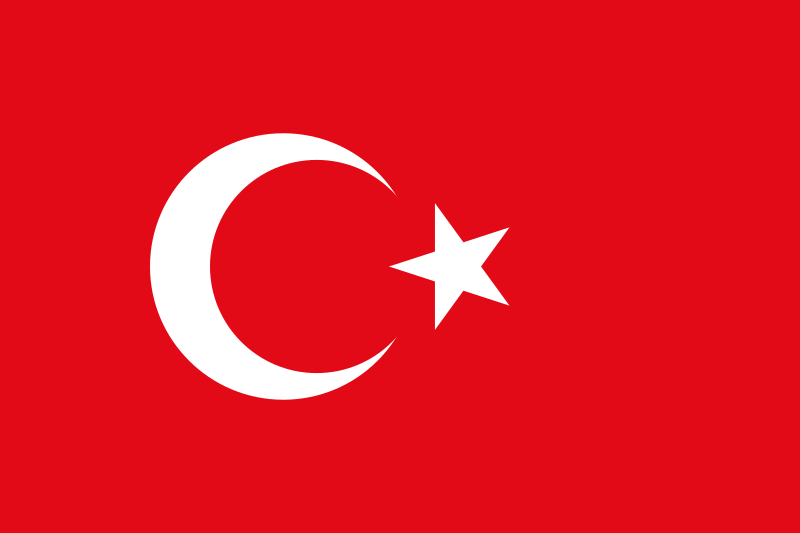 Ships will be utilized to smuggle in rockets, weapons, and arms from Iran and now Turkey, as they were prior to the naval blockade. A calculating and patient Hamas government has gained the media momentum as the world extends its heartfelt support to a terrorist regime, thanks to Turkey’s red flag of provocation. Anav Silverman, a native of Maine, writes from Jerusalem, Israel where she is an instructor at Hebrew University’s Secondary School of Education. She also works as an international correspondent at Sderot Media Center: www.SderotMedia.org.il. A native of Maine, Anav Silverman is a columnist and educator whose work has been published widely online and in print, both in Israel and internationally. 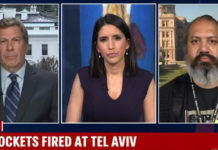 She has appeared on Al Jazeera, BBC Radio, and CBS 2 and has contributed to BBC News, The Philadelphia Bulletin, The Huffington Post, Bangor Daily News, Maariv, Ynet News, The Jewish Chronicle, Sderot Media Center, Tazpit Press Service and other publications. She also teaches at the Hebrew University Secondary School of Education (Leyada) in Jerusalem. Dear Anav – as once a few weeks ago came here, also commented, and read a dozens of articles on the site, I want to honestly and seriously pose the question to you. If you may: Why on earth didn’t you send this commendable and great piece as a RoR (Right of Reply) to the Huffington Post? Surely, if theyhaveeven a modicum, or particle of fairness left in them, can’t reject it on any ground. Perhaps it’s still not too late to show their readers the other (and certainly true) side of the story. You know, often, evry often I found myself privately annoyed and frustrated about this situation when good people – this mainly concerning the Israel-issue – do not unfortunately live with their "rights" for a RoR. I sicirerely don’t really understand.